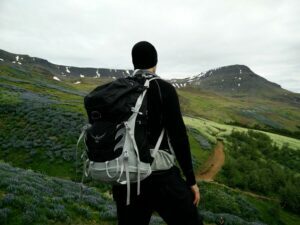 A backpack is a vital piece of hiking gear which you will most likely carry on every hike. Therefore, it has to provide good comfort and functionality. 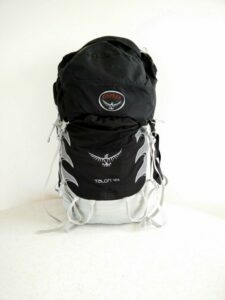 The Talon 44 is one of the most popular backpacks from Osprey – a well-known Colorado-based company. 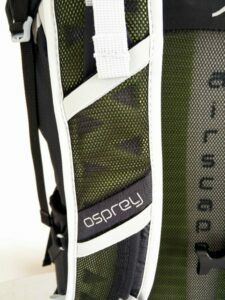 Osprey was one of the first manufacturers to introduce backpacks with a mesh back panel. These backpacks are popular because they provide superb ventilation. 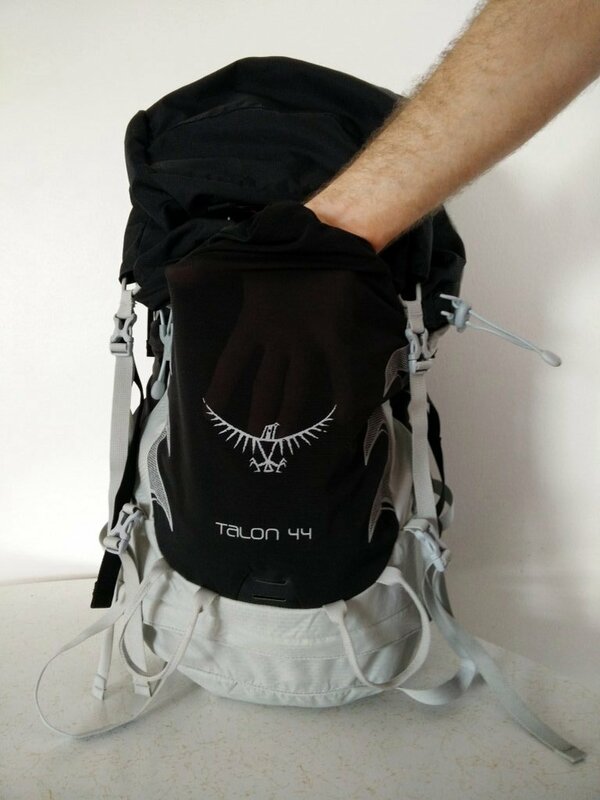 The Osprey Talon has a volume of 44 liters and is therefore appropriate for most hiking trips. It is not too big for a long day tour, neither too small for a hiking trip lasting a couple of days. For the last two months I have been testing the Osprey Talon 44 on my “Hiking Iceland” tour and here is what I learned. 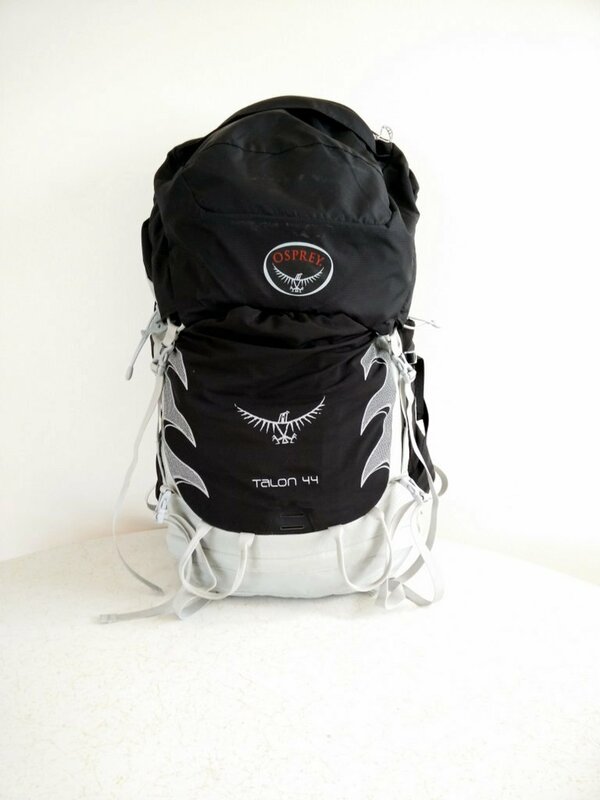 The Osprey Talon 44 is made of a very light nylon fabric which is reinforced in the crucial areas – for example at the bottom of the backpack. All pockets, except the lid pocket, are made of a lightweight mesh fabric. The plastic buckles are very small but at the same time extremely durable. The shoulder straps and hip belt are made of foam covered with a mesh fabric. The back panel is also made of ergonomically shaped foam which is covered with a mesh fabric for increased ventilation. It’s seen that the designers tried to strip any excess weight off the backpack wherever possible. 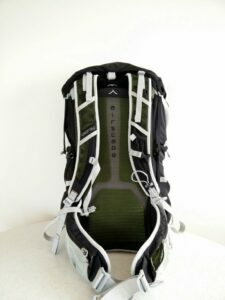 The result is an extremely lightweight backpack that weighs only 1040 g.
The Osprey Talon 44 features an extremely comfortable and well-ventilated back panel, shoulder straps and hip belt. The shoulder harness is attached to the back of the back panel with a strong and reliable Velcro system. The Velcro system allows you to move the shoulder harness up or down to find your ideal fit. This torso length adjustment system is reliable and easy to use. So far, I only used the backpack on hikes where I carried less than 10 kilos of gear. The backpack provided great stability – except when I carried very little in it, like less than 2 kilos of gear. But this is my fault because I should have used a smaller daypack. However, I did notice that the shoulder straps are quite narrow (at least for my body) and I wonder if they will cause pain when the backpack will be loaded with more than 15 kilos of gear. I will keep you updated on this. The length of the shoulder straps is of course fully adjustable. 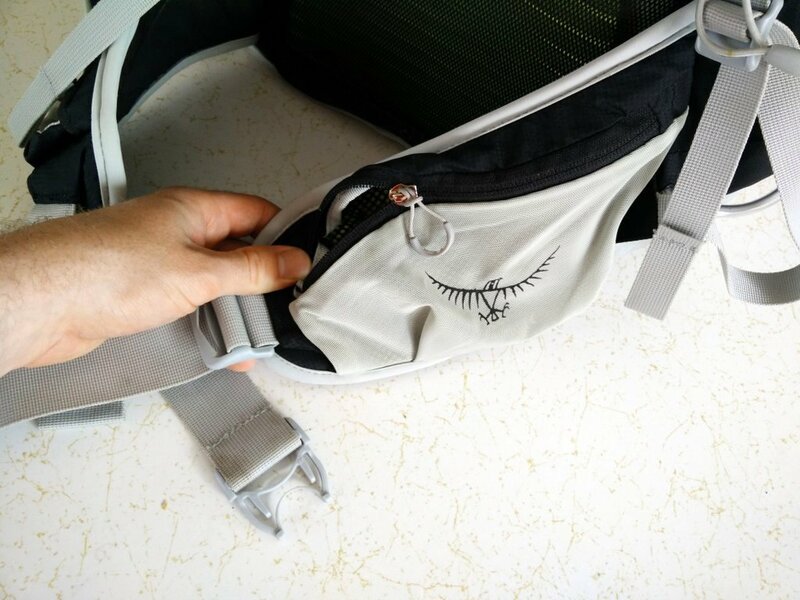 You can also easily adjust the distance between shoulder harness and the top of the backpack with two convenient straps. 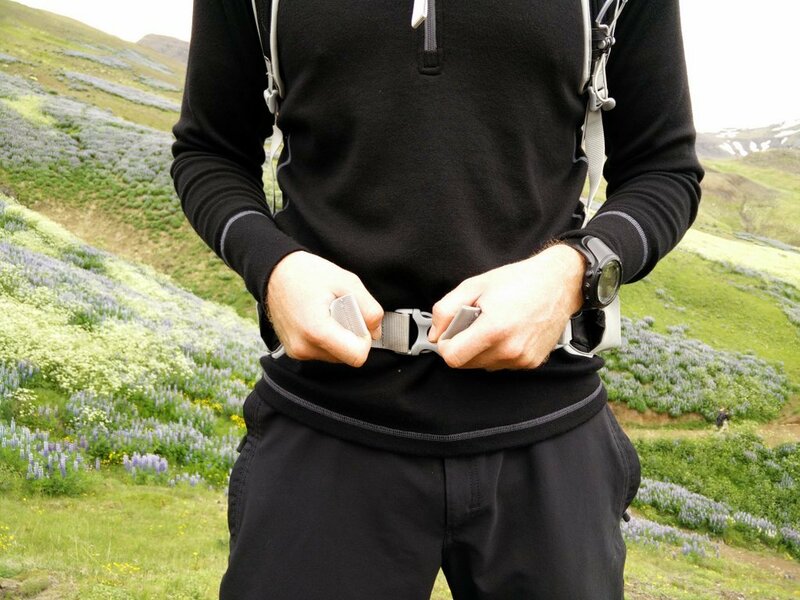 The hip belt can be tightened by pulling the straps from both sides inwards which is much more convenient than pulling the straps outwards. At the side of the backpack you will find compression straps, which can additionally increase the stability. I must say that the Osprey Talon 44 is the most comfortable and adjustable backpack I have ever had. The backpack has a main compartment, hydration system sleeve, external and internal lid pocket, two side pockets, two hip belt pockets, small shoulder strap pocket and a big stash pocket. The main compartment is accessible from the top as well as from the bottom through the zipped opening. The hydration sleeve is placed between the back panel and main compartment. It is accessible from the top and fits hydration systems with a volume of 3 liters or less. There is also a convenient strap with a buckle on the top of the sleeve which allows you to secure the water reservoir. 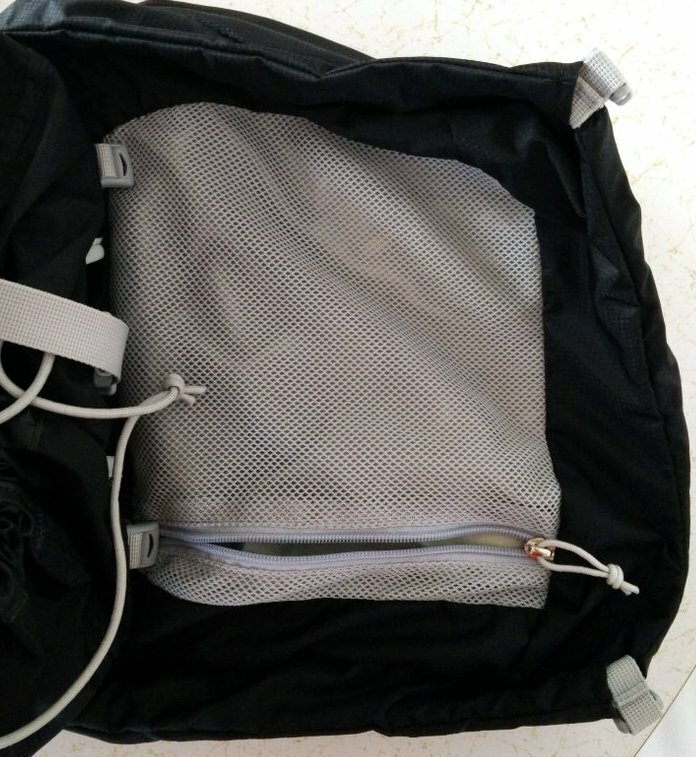 The external lid pocket is bigger than the internal lid pocket, which is made of a lightweight mesh fabric. It is perfect for accessories that you need close by. The internal lid pocket is designed for valuables. 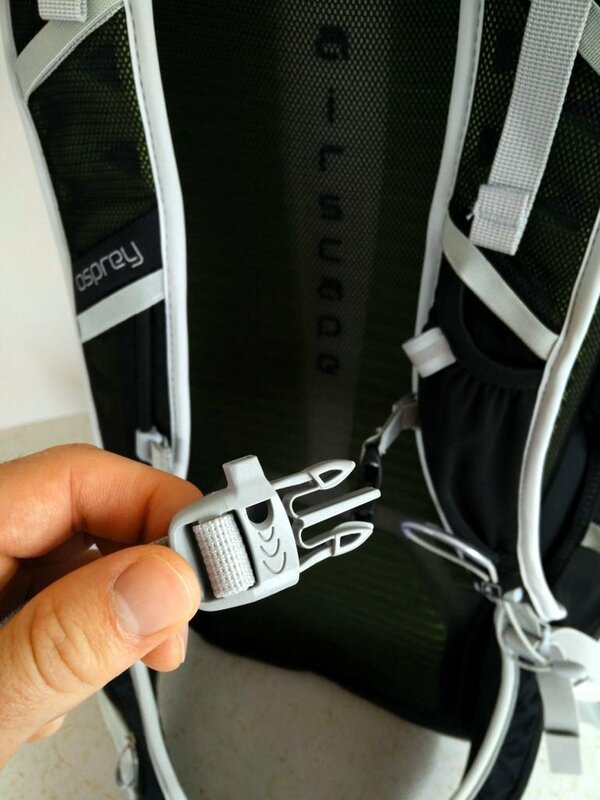 It is also the only internal pocket the backpack has. The side pockets are perfect for water bottles. They are not completely closed on the front end but they keep 0.5 liter bottles safely stored. I’m really satisfied with the hip belt pockets. The size and placement is perfect. They are easy accessible when the backpack is on your back and big enough for cell phones, cameras, GPS devices etc. They even fit my 5.5 inch Smartphone. 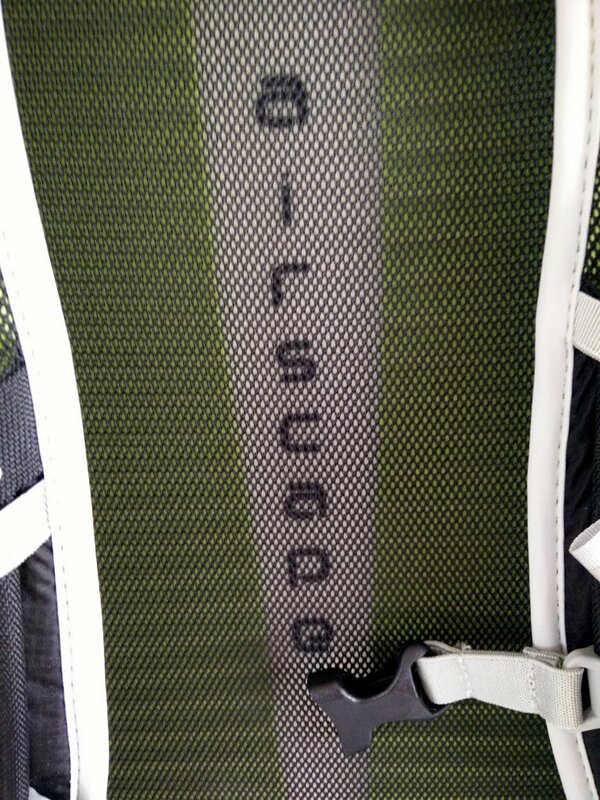 The shoulder strap pocket is placed on the left shoulder strap. I haven’t really used it but I believe it’s great to store a power bar or other small accessories. It may even fit an old cell phone. The big stash pocket on the front side is great for wet clothes or other gear you don’t want to put in the main compartment. I used it quite frequently to put in gloves and hat when the weather became too warm to use them. The Osprey Talon 44 has a unique Stow-On-The-Go hiking pole attachment system. 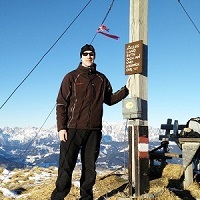 This system allows you to store or obtain your hiking poles without the need to take the backpack off. I’m really excited about this system because it is so handy. The backpack is additionally equipped with two ice tool holders. You can also use the side straps for attaching accessories. 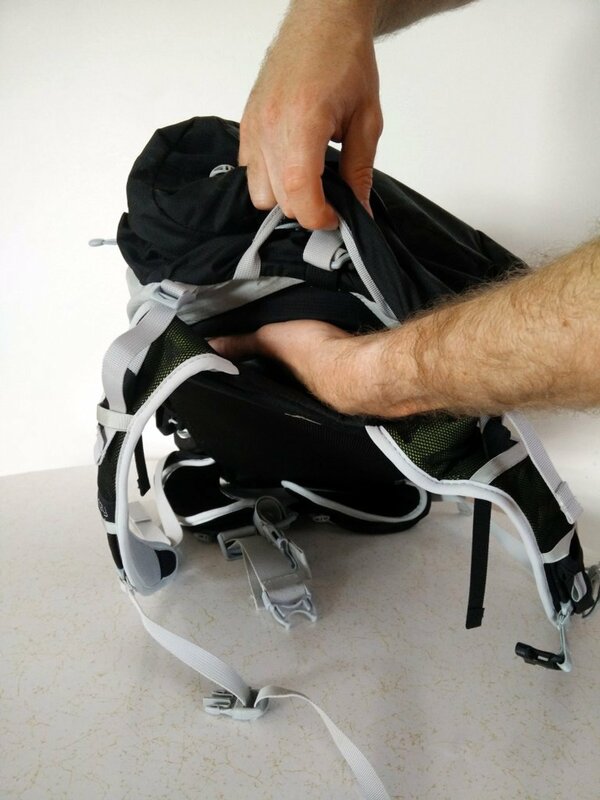 At the bottom of the backpack there are also adjustable straps that can be used for attaching a sleeping mat or similar equipment. A strap under the lid is designed to hold a climbing rope. The top lid is attached with adjustable straps and therefore every rope will fit under it. 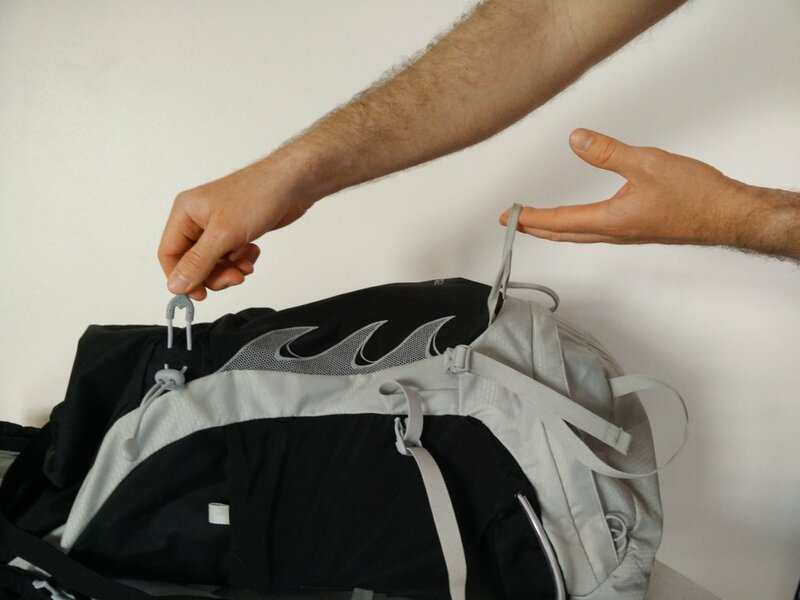 The backpack is also equipped with a convenient emergency whistle which is placed on the chest strap buckle. I used the backpack on the Ulfarsfell, Helgafell and Mount Esja trails. I must say that I can’t find one single flaw in it. It has always proven to be a comfortable and functional backpack. The Osprey Talon 44 provides convenient pockets, well-considered attachment points and a back panel which provides superb ventilation. 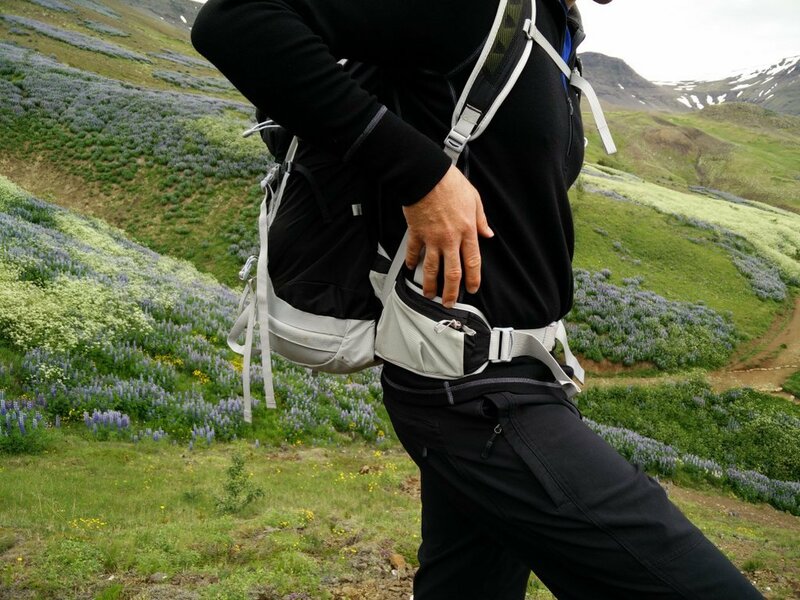 I would recommend this amazing backpack to every hiker, mountaineer or climber. Note: The Osprey Talon 44 backpack has been redesigned in early 2017. The new model is equipped with improved backpanel and hip belt.